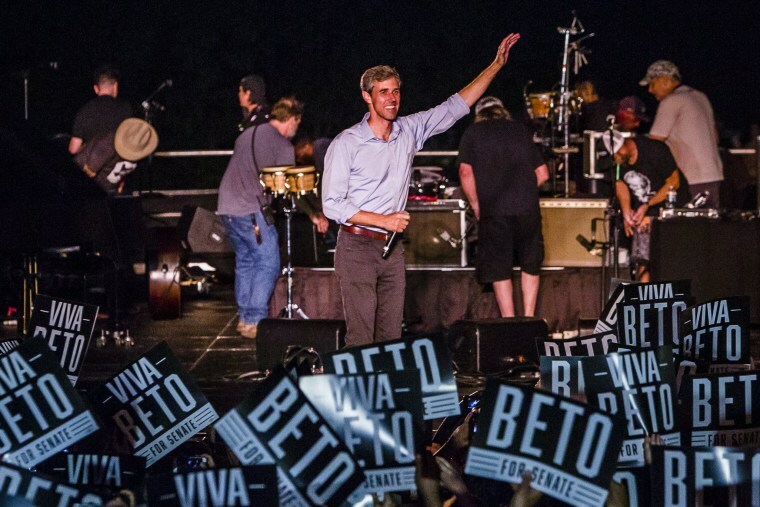 O’Rourke, who faces incumbent Republican Ted Cruz in November, has highlighted small donations from individuals and eschewed special interest PACs. His campaign noted Friday that more than 800,000 individuals have contributed to his campaign, which has benefited from viral moments that have enamored the young Democratic congressman to progressives nationwide. Two other Senate Democratic candidates running in competitive races this cycle — Kyrsten Sinema of Arizona and Jack Rosen of Nevada — have announced raising about $7 million in the last quarter. But Barack Obama, for example, raised $23.5 million in the final quarter before the 2008 Iowa caucuses and New Hampshire primary, according to Federal Election Commission records. Candidate Hillary Clinton raised about $30 million in the third quarter of 2015 during her last presidential run. Despite his huge financial advantage, it’s unclear that O’Rourke can convert dollars into votes in a state that hasn’t elected a Democrat statewide in almost three decades. An unapologetic progressive who has praised NFL players who kneel during the national anthem and staked out relatively liberal positions on immigration, many observers have been skeptical that O’Rourke ideology will fly in a state that voted for President Donald Trump by nearly 20 points in 2016. A recent Quinnipiac University poll found Cruz leading O’Rourke by 9 percentage points.